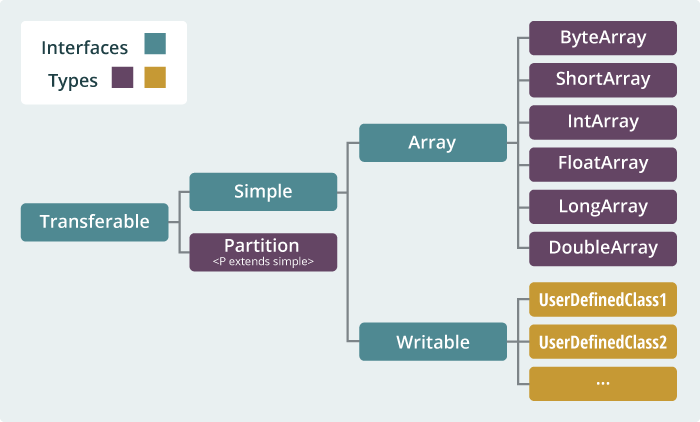 Partition is a wraper of the data structures shown above. Every partition has an ID. In collective communication, partitions from different processors with the same ID will be merged. The merge operation is defined by PartitionCombiner. 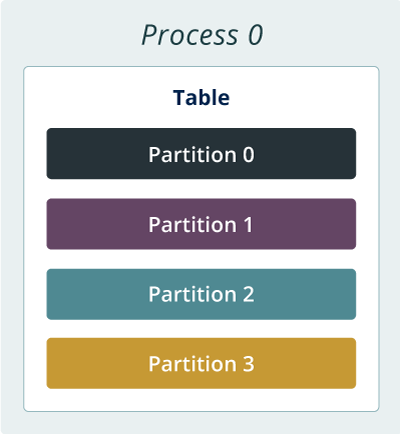 Table is a container for partitions. It is a high-level data structure and the unit for collective communication. In this example, it initiliazes a table which carries DoubleArray as the primitive data type. DoubleArrPlus is a PartitionCombiner used to define the merging operation of two partitions. The data abstraction is shown above. 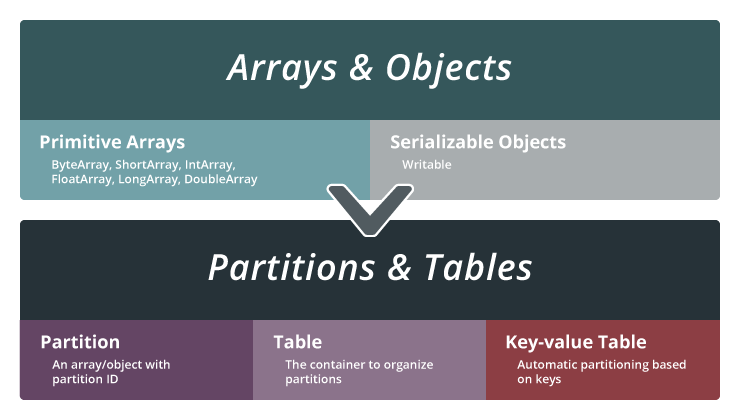 Transferable is ae higher interface compare to other data structures and Simple is the sub-interface for all primitive data structures. Here is an example of the primitive data strucutres. * IntArray class for managing int data. * four bytes for storing the size, size*4 bytes for storing the data. * failed, new an array.